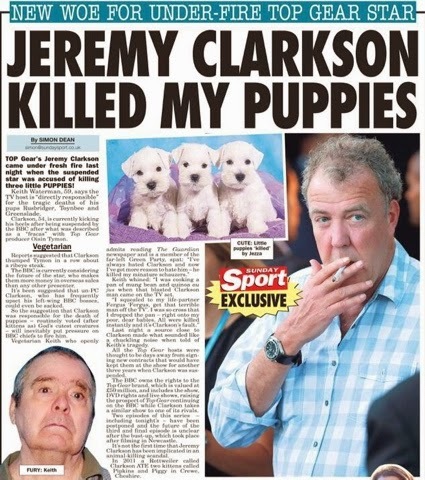 Jeremy Clarkson killed three puppies called Rusbridger, Toynbee and Greenslade, says Sunday Sport. You couldn't make it up. Oh, wait... (Sunday Sport goes all post-modern).